Originating in China over three millennia ago, acupuncture is a system of medicine based on principles of harmony and balance. Acupuncture treatment is effective for all kinds of physical and mental illnesses. 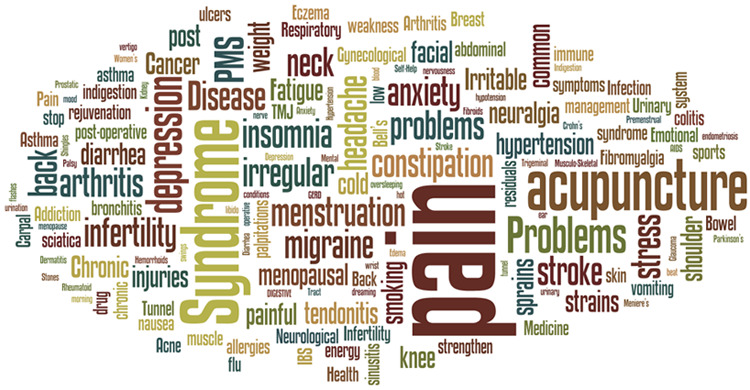 Asthma, depression, anxiety, back pain, insomnia, chronic fatigue and even hay fever can all be treated with acupuncture. Now recognised by the World Health Organisation (WHO) as a viable treatment for a whole range of conditions, why not make an appointment with me and see for yourself how acupuncture can improve your wellbeing. The initial consultation lasts up to an hour where a practitioner will record the patient’s case history and do a physical examination. It is no different to a routine visit with your GP. Subsequent sessions will last between 30 to 40 minutes. The treatment itself involves pressing hair-fine needles painlessly into acupuncture points on the body. Performed by fully qualified practitioners, acupuncture treatment is a virtually painless process with no side-effects. Some patients find the sensation of acupuncture enjoyable and relaxing! One of the many acupuncture benefits is that it is an entirely natural pain-relief. As mentioned earlier, acupuncture can be used to treat a variety of illnesses using entirely natural methods. Acupuncture stimulates your body to correct imbalances and naturally cure itself of pain and illness. It can also be effectively combined with other treatments which I will discuss at your consultation. All kinds of pains that you did not think there was a cure for, such as back pain and migraines, can be treated naturally with acupuncture treatment. To start your journey to physical and mental recovery today, contact me and for acupuncture in Northampton.